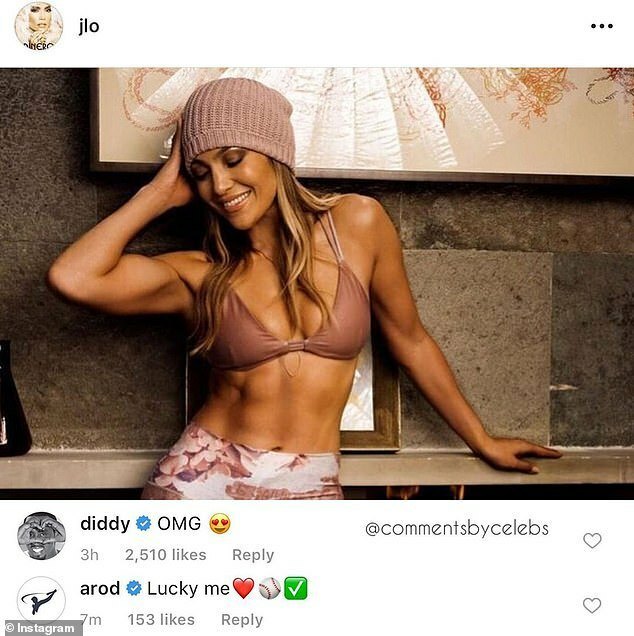 Jennifer Lopez has revealed her ex-boyfriend ,Diddy apologized to her fiance Alex Rodriguez shortly after dropping a comment on her racy snap. A few months ago,JLo posted a photo showing her abs and Diddy dropped a comment underneath which read “omg😍“. The singer, 49, said during a Thursday appearance on The Breakfast Club.